We didn’t catch the hand, but Andrew Lichtenberger was eliminated by Ray Davis. With a board of J 9 2 , Andrew “LuckyChewy” Lichtenberger was facing an all-in bet of a few thousand more than starting stack from Soon Hwang. After a few moments of consideration Lichtenberger, who was covered by Hwang, called with the Q Q s. Hwang revealed the A K for two over cards and the nut flush draw, which Card Player’s Poker Odds Calculator has as ever-so-slightly ahead with a 51% chance of winning. The turn brought the 4 , which changed nothing, but the K on the river gave Hwang the best hand and the pot. 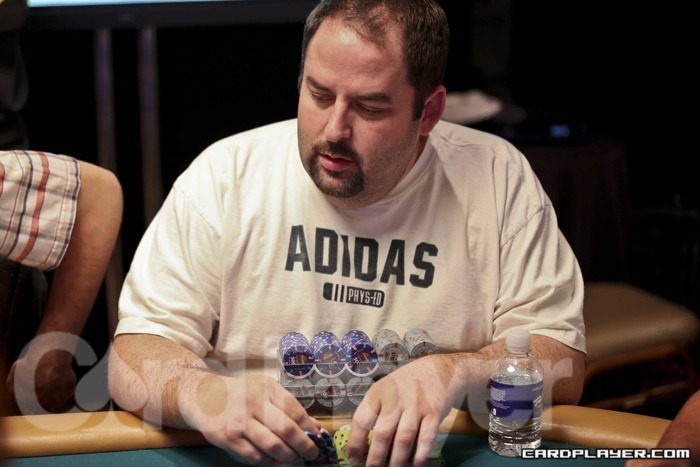 As a result, his stack grew to over 70,000 in chips, while Lichtenberger hit the rail. He has since re-entered. Tournament circuit heavyweights Joe Serock and Andrew Lichtenberger have joined the fray here at the inaugural Card Player Poker Tour championship event. Both were sat at table no. 1. Shannon Shorr opened the pot for 125,000 from under the gun, Greg Merson reraised to 265,000 from middle position, Andrew Lichtenberger four-bet the button to 405,000, Shorr folded, Merson shoved and Lichtenberger called all in. Lichtenberger was all in for his tournament life and ahead before the flop with A K against Merson’s A Q . The board came K J 6 10 A , giving Lichtenberger top pair on the flop, but Merson made a straight on the turn to win the pot. Andrew Lichtenberger was eliminated in 6th place ($140,351) as Merson secured the chip lead with about 6.1 million. The final table of Event no. 57 ($10,000 No-Limit Hold’em Six-Handed) is now underway, and Card Player will be posting level-by-level updates with all of the action, current chip counts, and prize distributions. Day 3 began with 27 players spread out over 5 tables, and with the elimination of Timothy Adams in 7th Place ($100,696), the final table is now set. Play will begin in Level 27 with blinds of 25,000-50,000 and a 5,000 ante, and will continue until a winner is determined. Larry Wright entered Level 18 on the short stack and managed to come from behind to take the lead by the time the level came to an end. All three chip stacks were nearly even at one point and after a few confrontations, Andrew Lichtenberger was left on the short stack heading into level 19. Down to his last 200,000, Andrew Lichtenberger was all in before the draw against Larry Wright. Lichtenberger drew one card while Wright stood pat with a made jack-low. Andrew Lictenberger paired his five on the draw and was eliminated in 3rd place while Larry Wright took the chip lead over Brandon Cantu going into heads-up play with about 740,000 to 550,000. 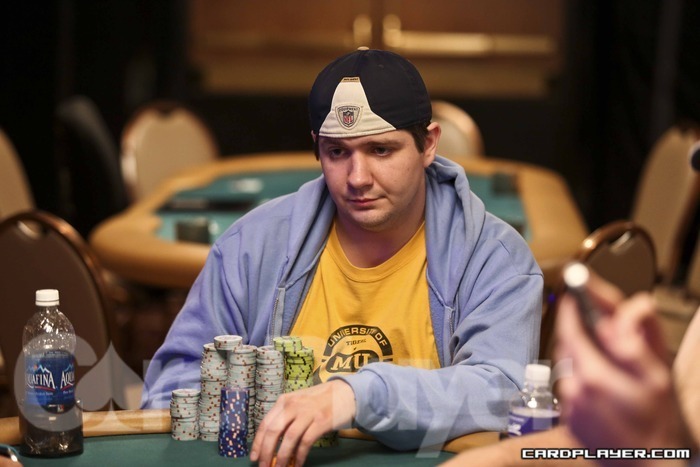 Ryan Tepen began the final table on the short stack and was the first player eliminated. On just the second hand of the day, Michael Mizrachi opened the cutoff for 7,000, Ryan Tepan moved all in for around 50,000 from the big blind and Mizrachi called. Mizrachi was ahead with a jack-low against Tepen’s queen-low when the money went in before the draw. Tepen stood pat and Mizrachi drew one card. He trade one jack for another, still ending the hand with a jack-low to win the pot and eliminate Ryan Tepen in 7th place ($10,318). Andrew Lichtenberger opened the pot for 8,000 from under the gun, Rep Porter reraised to 28,000 from the button, Lichtenberger four-bet shoved and Porter called all in. Both players stood pat and Andrew Lichtenberger had been dealt a made 8-low to win the pot and eliminate and eliminate Rep Porter in 6th place ($14,078). The final table of Event no. 30 ($1,500 Deuce-to-Seven Draw Lowball) is now underway, and Card Player will be posting level-by-level updates with all of the action, current chip counts, and prize distributions. Day 2 ended with the elimination of John Phan in 8th Place ($7,748), setting the official 7-handed final table. Play will begin in Level 16 with blinds of 1,500-3,000 with a 700 ante, and will continue until a winner is determined. 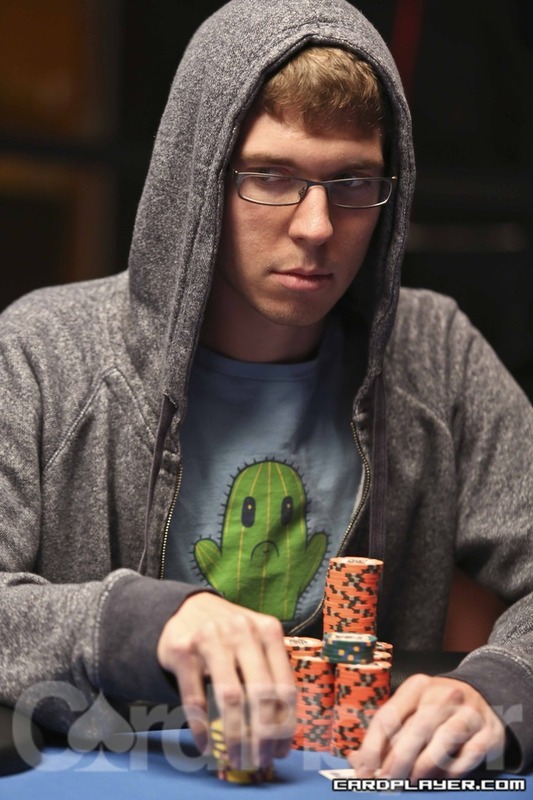 David Baker got the rest of Andrew Lichtenberger’s stack thanks to a coinflip when his pocket nines held against A-Q. Lichtenberger was eliminated and Baker is now up to 180,000. Poor Andrew Lichtenberger. First, he was forced to ride the public bus in from New York. Then, room service served him a spider with his fruit platter. Now, he’s out of the tournament. Lichtenberger raised preflop to 800 and Chris Klodnicki reraised to 1,800. The small blind called and Lichtenberger shipped it in for his last 7,000 or so. Klodnicki called and the small blind folded. Lichtenberger showed A K , but they failed to outdraw Klodnicki’s J J on a board reading Q 9 3 2 5 . Klodnicki now has 52,000 in chips. 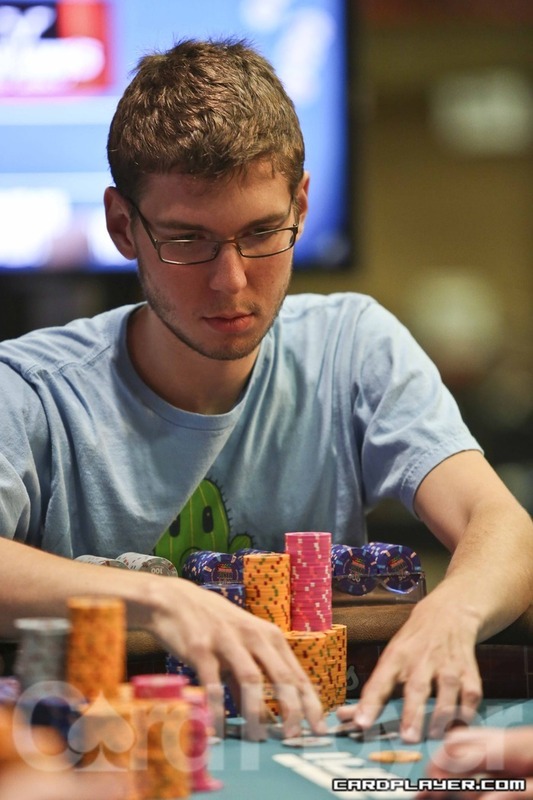 Andrew “LuckyChewy” Lichtenberger raised to 4,000 from late position and Allen Carter moved all in for his last 35,000 from the small blind. Lichtenberger immediately called, tabling pocket aces, which were well ahead Carter’s pocket tens. The board failed to bring a ten and Carter was showed the down about 30 minutes before the end of play. Lichtenberger is now flirting with the 200,000 mark. Vanessa Rousso raised to 110,000 and Andrew Lichtenberger reraised to 285,000 from the small blind. Rousso called and the flop came down A 10 6 . Lichtenberger bet 300,000 and Rousso moved all in, easily covering her opponent. Lichtenberger called with A Q , but Rousso’s A 6 was way ahead with two pair. The turn and the river fell 4 9 and Lichtenberger was eliminated. Rousso is now an overwhelming chip leader with 6 million. Andrew Lichtenberger raised to 100,000 from early position and John Racener made the call from middle position. Vanessa Rousso reraised to 420,000 from the small blind, which induced Lichtenberger to fold. Racener made the call and the two saw a K 7 2 flop. Both players checked the flop and the K followed on the turn. Rousso checked and Racener bet 595,000. Rousso made the call and the river fell J .
Rousso bet 1 million and Racener went into the tank for quite some time. He eventually mucked his hand and conceded the pot. Rousso grew her chip lead to 5.24 million and Racner fell to 2 million. A player raised in early position to 500 and Vanessa Selbst reraised to 1,400 on the button. David Sands then made it 2,700 from the big blind and the initial raiser folded. Selbst reraised to 4,400, leaving herself with 8,000 behind. Sands put the rest in and she made the call with A K .
Sands showed her A A and she failed to connect on a board reading 9 7 6 8 4 . Selbst was eliminated and Sands shoots up to 46,000 in chips. Cornel Cimpan raised to 500 from middle position and was called by the hijack, Jonathan Aguiar in the small blind and the big blind. The flop came down J 2 2 and Cimpan bet 1,600, getting a fold from all three opponents. He is now back up to 30,000 in chips. It’s not much of a hand, but it’s an excuse to report on Melanie Weisner’s stack. Jared Bleznick raised to 500 from middle position and she called out of the big blind. The two players checked down a board of A 9 7 Q 2 and Weisner fired 675 to take it down and increase her chip count to 39,000. Andrew Lichtenberger raised to 600 from the cutoff and Andreas Hoivold reraised too 1,500 behind him on the button. Lichtenberger called and the flop fell K 10 4 . Hoivold continued with a bet of 2,050 and Lichtenberger called. The turn was the 7 and both players checked. The river was the 3 and Lichtenberger bet 4,800. Hoivold thought it over for about a minute before calling. Lichtenberger showed K Q for top pair, but Hoivold showed 6 5 for a straight. After the hand, Lichtenberger was down to 19,000 and Hoivold chipped up to 46,000. After a series of preflop bets and raises, Ryan Welch found himself all in holding A K against the A A of Mark Ader. Welch asked the dealer for some clubs, and he obliged with a flop of 10 10 8 . The turn and river were bricks, however, falling 3 5 and Welch was eliminated. He bemoaned his bad luck in the hands leading up to his last and left the room shaking his head in disbelief. We didn’t catch the action, but a flurry of bets and raises resulted in Eric Wasserson being all in holding A Q on a board reading Q 9 . His opponent snap called and had Wasserson thinking the worst as he asked, “pocket threes?” Instead, his opponent revealed Q 9 to have trip queens with a worse kicker. The turn and river fell 7 10 and Wasserson doubled up to 62,000. Jeff Shulman raised to 550 from the cutoff and Steve O’Dwyer made the call on the button. The big blind called as well and the flop came down K 9 3 . The big blind check, Shulman checked and O’Dwyer bet 1,250. The big blind passed and Shulman mucked his hand, giving the pot to O’Dwyer, who is now back up to his original starting stack of 40,000. Shulman is still above the average with 57,000. If you aren’t familiar with the current trend of “icing” then google it. Tony Dunst just pulled off the stunt at the expense of Andrew “LuckyChewy” Lichtenberger, who returned from his break to find the bottle of Smirnoff Ice hiding under his chair. The WPT cameras got a nice shot of their new “Raw Deal” host in action, but one wonders how Lichtenberger could have fallen for such an obvious attempt, espescially considering all of the cameras surrounding the table.